I thought about it a bit more and concluded that since most 928s have fake leather (vinyl door panels etc. ) 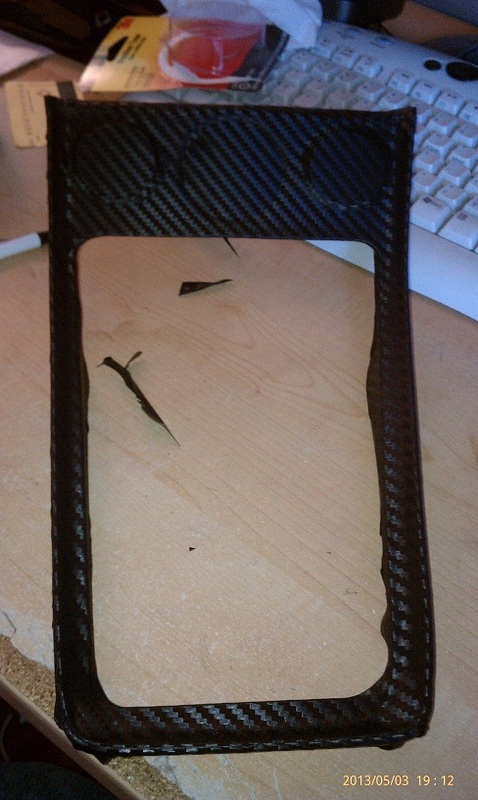 fake carbon fiber is just more plastic and if it looks good ....why not ! Anyone know what the newer VWs have as a coating on their interior plastic ? My 02 Passat a surface layer is wearing off also on the 04 Touareg same issue where ever it gets touched often. Also read where Ferrari plastic gets soft sticky. But I am one who liked it when the dashboard was made of wood Although the highly finished wood inserts on the T-reg have all developed many cracks in the finish before it was 5 years old. Well this is lovely; after looking in the WSM, you just have to pry the vent up with a screwdriver or putty knife. Apparently someone epoxied my driver side vent in the door!!! I will have no choice but to duplicate my style on the passenger side. So it's been two years since I laughed about this. Screw you guys for turning me on to this crap. Console surround from a 1979 I'm dropping into my S4. I hope these surrounds drop right in no problem to the later cars. I did the cross brace too. And few other parts inside. With the help of Paul Champagne. I like the look of CF Di-noc. Last edited by Bertrand Daoust; 05-10-2013 at 09:17 PM. Wow I like the idea of the Di-Noc on the shifter plate. I am actually going to remove mine and paint it silver while hand painting the lettering black. nice looking on the door panel. Will try to make one for my 928GT too. Just install the CF footstep last week, but the stickers seems not strong enough stick on the CF footsetp. Wow those CF foot steps look Great! Did you buy those or was that a wrap you applied? What on earth is this thing ?